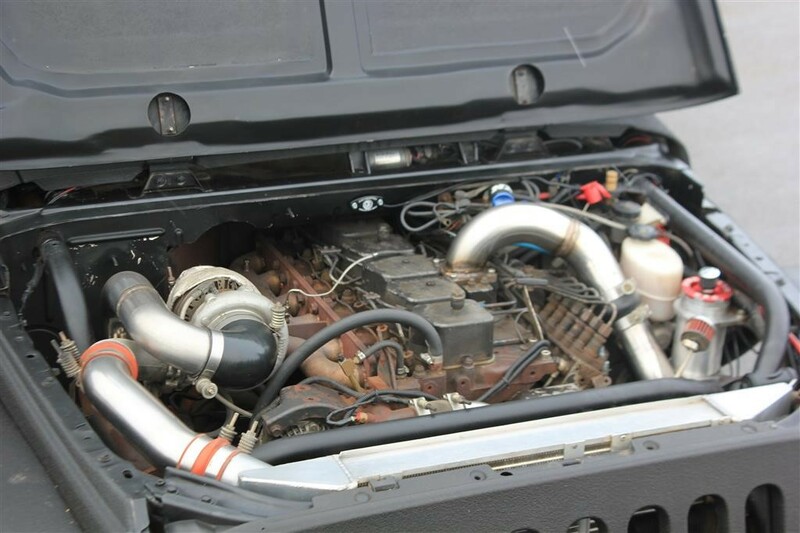 You would be surprised what you can find when looking through the classifieds in the duPont Registry. 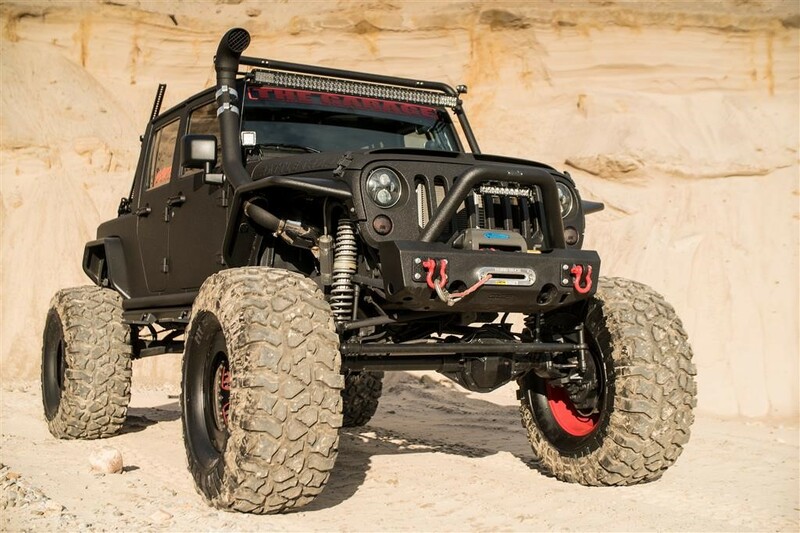 While surfing through the hundreds of available high-end cars for sale, I came across this custom built Jeep called the “Rattletrap.” It’s a seriously badass Jeep with a long list of upgrades. Lets start with one of the more common changes when building an aftermarket Jeeps, swapping out the notoriously underpowered V6 motor. The most common engine used for these swaps is a Hemi, or sometimes an LS crate motor, both of which help provide the much needed extra grunt. But there’s nothing “common” about anything in regards to the Rattletrap, including the motor. 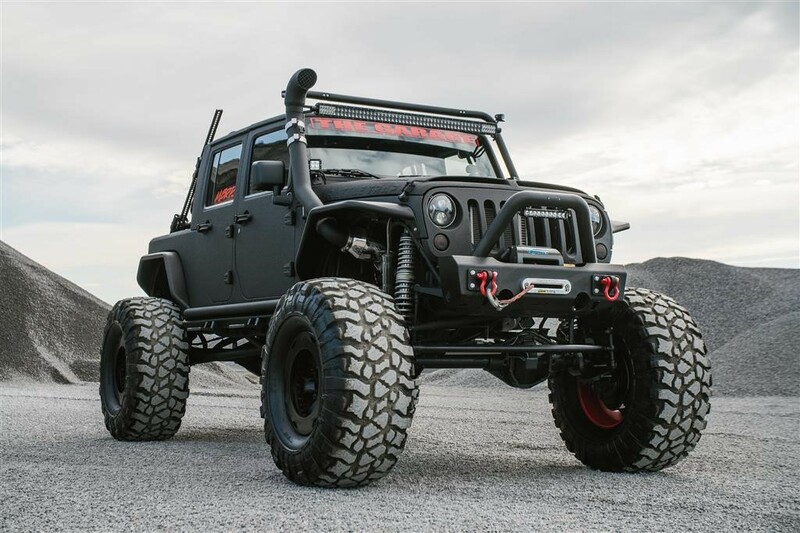 This monster Jeep has a twin turbo 5.9L Cummins diesel that, according to the listing, has approximately 500hp. 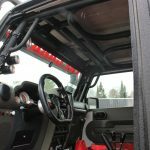 Nothing was mentioned regarding the torque figures, but with that Cummins under the hood, it’s safe to say it will be over 750lb-ft and maybe closer to 1,000lb-ft. That immense amount of torque comes in handy when out rock crawling, or doing just about anything offroad for that matter. Rather than listing everything else that’s been upgraded or beefed up in some way, it makes more sense to list what hasn’t. And to be honest, I haven’t found much yet that hasn’t been changed. Maybe a few parts of the dashboard, I suppose. My point being that this thing has been completely rebuilt from the ground up, including the frame and entire suspension system. That new suspension set up is said to provide 16 inches of travel in the rear and 14 up front. 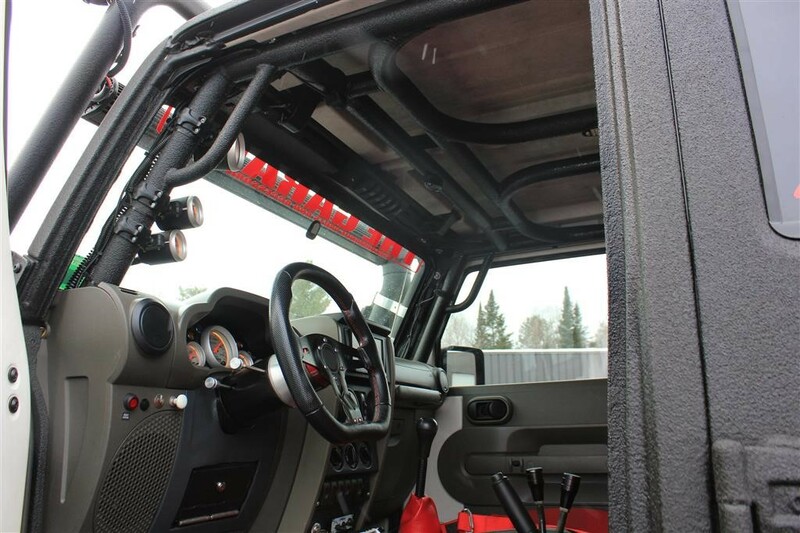 When you have that much aforementioned torque, and you’re running 44-inch tires that are 19.5 inches wide, you would snap the stock axles like toothpicks. So they upgraded to a Dana 60 high pinion up front and a Dana 70 heavy duty axle in the rear. 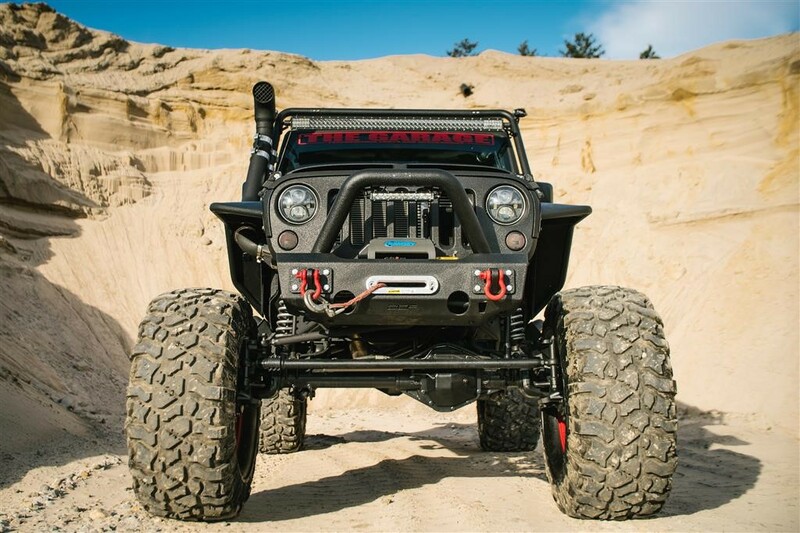 Both of which were built by Currie Enterprises, a highly respected name in offroad aftermarket parts. And we’re barely scratching the surface of the upgrades done to the Rattletrap. 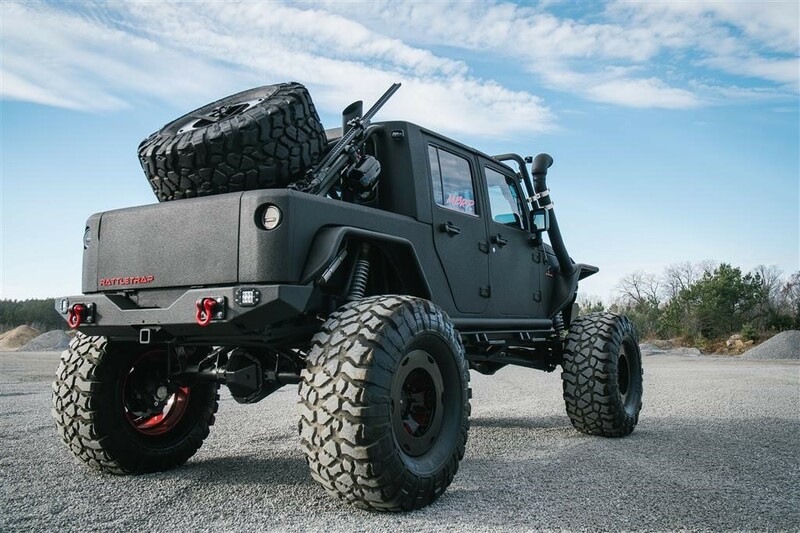 And the good news for those looking to spend an insane amount of money on a Jeep, it’s listed for sale in the duPont Registry. 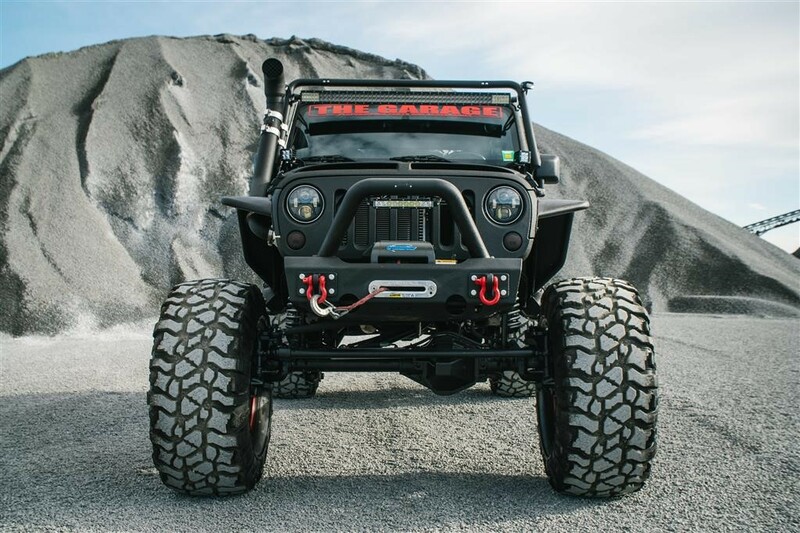 You could have this absolute beast of Jeep sitting in your driveway for the tidy sum of $225,000! My question to you is this; would you spend that kind of money on a Jeep that’s technically now ten years old? If the answer is yes, be sure to check out the listing as well as look at the whole list of upgrades.